Anna Suzuki, Yuichi Niibori, Sergei a. Fomin, Vladimir a. Chugunov, and Toshiyuki Hashida. 2014b. “Analysis of Water Injection in Fractured Reservoirs Using a Fractional-Derivative-Based Mass and Heat Transfer Model.” Mathematical Geosciences, doi:10.1007/s11004-014-9522-5 (2014). 鈴木杏奈, 蒔田浩士, 新堀雄一, and 橋田俊之. 2013. “非整数解微分を含む物質移動モデルを用いた坑井間距離の異なるトレーサー応答推定の検証.” 日本地熱学会誌 35, 4, pp.149–61, (2013). A. Suzuki, R. Horne，H. Makita，Y. Niibori，S. Fomin，V. Chugunov，T. Hashida， ”Development of Fractional Derivative-Based Mass and Heat Transport Model”，Proc. Thirty-Eighth Workshop on Geothermal Reservoir Engineering，Stanford (2013). 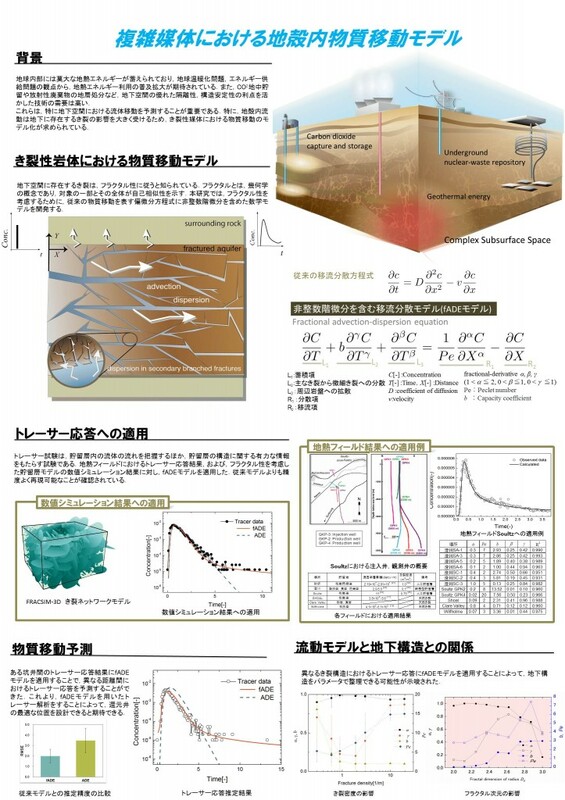 A. Suzuki， H. Makita， Y. Niibori， S. Fomin， V. Chugunov， T.　Hashida, ”Characterization of Tracer Responses Using Fractional Derivative – Based Mathematical Model and Its Application to Prediction of Mass Transport in Fractured Reservoirs”，GRC Trans.， 37， pp.1391-1396 (2012). A. Suzuki， R. Chiba， T. Okaze， Y. Niibori， S. Fomin， V. Chugnov, T.Hashida, ”Characterizing Non-Fickian Transport in Fractured Rock Masses Using Fractional Derivative-Based Mathematical Model”，GRC Trans.，34，pp.1179-1184 (2010). A. Suzuki， R. Chiba， T. Okaze， T. Hashida，”Development of Fractional Derivative　–　Based Mass Transport Model for Evaluation of Complex Crustal Fluid Flow”，Proc. of 2010 Int. Symposium on Renewable Energy 2010，P-Ge-15 (2010). 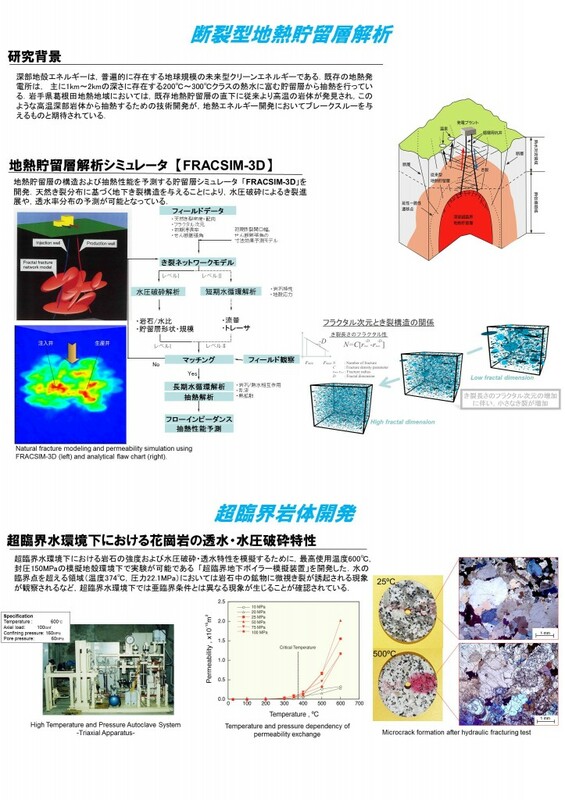 T. Hashida, R. Chiba, S. Fomin “Mega‐Scale Fluid Flow in Complex Subsurface Fracture Systems”, COE Lecture Series, Vol. 9, Chapter 7, Tohoku University Press, Sendai, Japan, pp. 241‐261 (2008). Ryuichi Chiba, Takashi Okaze, Sergei Fomin, Vladimir Chugunov, Yuichi Niibori, Hisao Fukunaga, and Toshiyuki Hashida, “ Numerical Simulations of the Anomalous Solute Transport in a Fractured Porous Aquifer”, GRC Transactions, 32, pp. 441‐443, (2008).